A 42-year-old Caucasian male presented to the ER with complaints of intermittent chest pain radiating to back, dyspnea on exertion, and presyncope. He reported that a month prior to presentation, he had a combination of low-grade fevers, fatigue, painful “shin rash”, and diffuse polyarticular joint pain worst over his ankles. 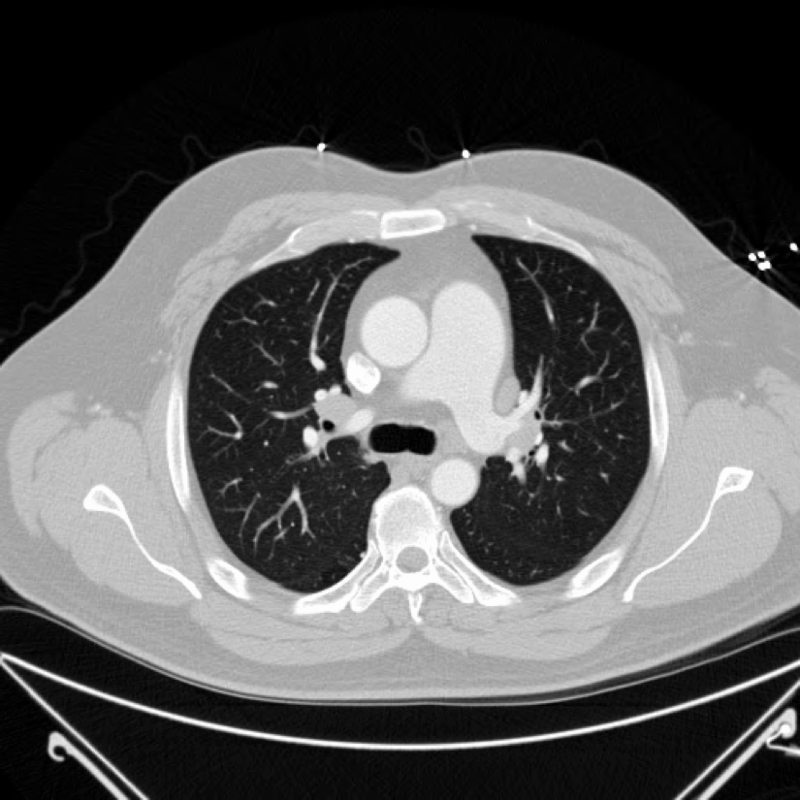 CT angiogram of the chest done to rule out pulmonary embolism revealed significant bilateral hilar and paratracheal lymphadenopathy (Figure 1) and a few bilateral peripheral nodules measuring up to 6mm. On physical exam, his “shin rash” (Figure 2), was tender to palpation and consistent with erythema nodosum. MCQ: A patient presents with painful tibial lesions and ankle pain for the past 1-2 weeks. Chest x-ray reveals perihilar adenopathy. What is the best next step in diagnosis? Fabiola Rios de Choudens, MD: Internal Medicine resident at University of South Florida in Tampa. Originally from Puerto Rico, she studied in the University of Puerto Rico Medical school and is interested in medical education and providing learning opportunities for students and residents. Carlos Pla Fernandez, MD: Internal Medicine resident at University of South Florida in Tampa. Interested in Endocrinology and general Internal Medicine with particular interest in medical education.